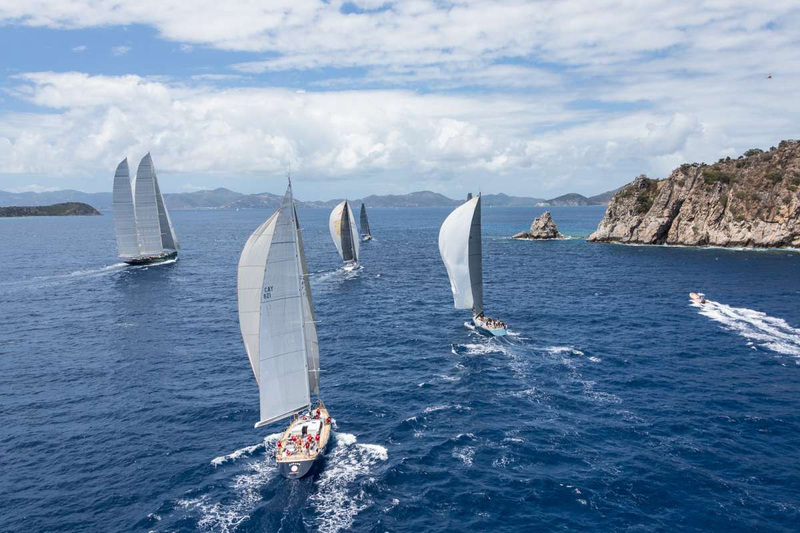 The first day of the Loro Piana Caribbean Superyacht Regatta & Rendezvous brought a round-the island race for the 20 super yachts competing in the three day event. A fresh south easterly breeze of approximately 12 knots, some of the world's most beautiful sailing yachts crewed by the world's top sailors and a backdrop of sparkling turquoise seas dotted by the islands and islets of the archipelago of the BVI combined to produce a fantastic inaugural race. 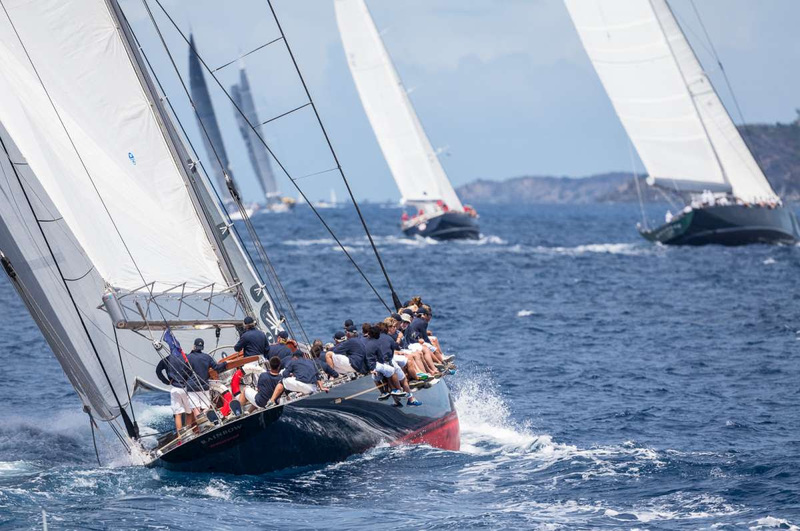 The fourth edition of the event, organised by the Yacht Club Costa Smeralda and Boat International Media, is underway at YCCS Virgin Gorda from 19th to 22nd March. The 34 metre Reichel-Pugh designed Nilaya claimed victory in Division A ahead of Leopard by Robertissima and the 33.4 metre Vitters-built Inoui respectively. Vasco Vascotto, Leopard's tactician, chartered for this event by Roberto Tomasini Grinover who was unable to race today due to a fever, was pleased with the team's first competitive outing on the record-breaking yacht. "We were curious to see how the super maxi would perform in this first race of the event and it was a great race in spectacular conditions. The course around the island was interesting in terms of strategy, which sails to use. We are satisfied with the second place we got today, we did good clean manoeuvres and we didn't take any chances. We hope that tomorrow we will have the owner back on board and that we'll improve wherever possible on today's performance," Vascotto said. All three of the top spots in the seven-boat Division B were taken by Nautor's Swan yachts. The 27-metre Freya, launched in late 2012 and competing for the second time in this regatta, claimed victory in corrected time ahead of the 25-metre sloop Alpina. 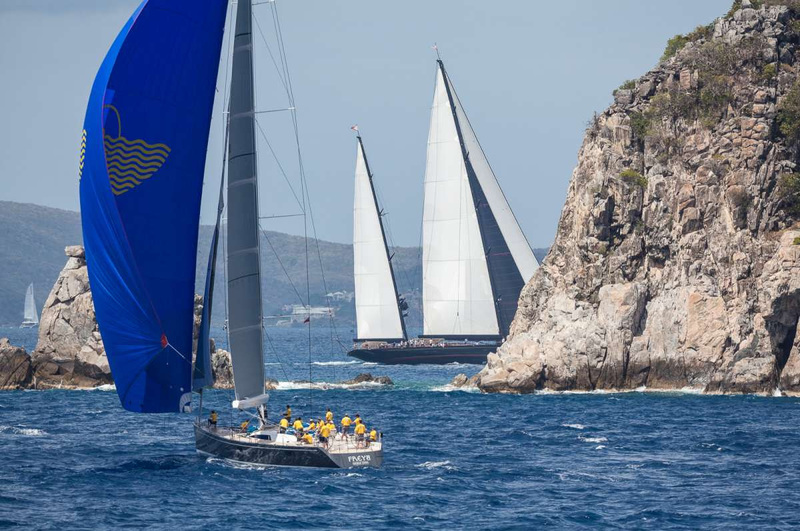 The Fers-designed Selene, winner of the Rolex Swan Cup Caribbean at YCCS Virgin Gorda in 2013, took third place. The newly launched, J-Class inspired Tempus Fugit - in her first competitive performance - took first place in Division C by just under two minutes in corrected time. The Dubois-designed yachts Sarafin and the 2013-launched Moonbird took the respective runner-up slots. Erbil Arkin, at the helm of Tempus Fugit, a Humphreys design with classic lines was happy with the yacht's inaugural competitive performance: "We're over the moon. I'm loving being here. I just crossed the ocean, my first ocean crossing, a bucket list thing, to come and race here so for me it's absolutely great, it's marvellous - I am where I want to be, let's just say that! Loving it. Great boat and a great designer! The plan fortomorrow is just to keep it going as we have with the enthusiasm that we have." Following yesterday's welcome cocktail the busy social programme which accompanies racing continues today with the exclusive Loro Piana Owners' Dinner at the YCCS Clubhouse and the Crew Party sponsored by Marina Casa di Campo and BVI Tourism.